It only takes a few seconds for customers to develop an impression of your business. If your website isn’t up to date, doesn’t look great on any device or takes too long to load, you’re losing customers. 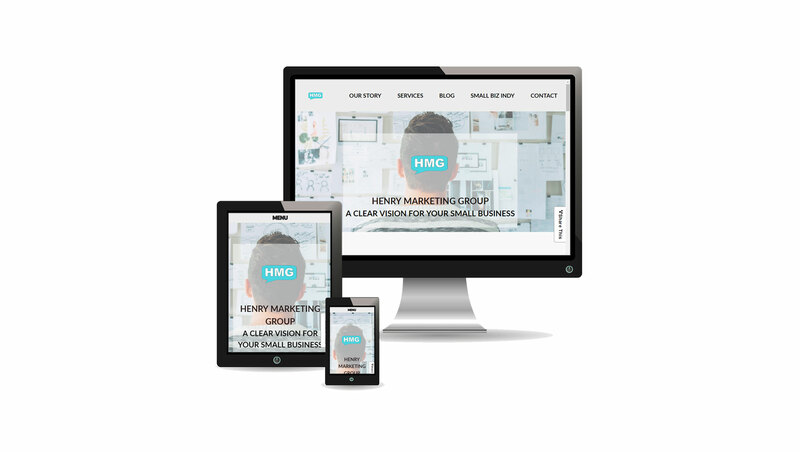 Launch your new website design from Henry Marketing Group and start converting visitors into customers. Let your potential customers know your website is safe for shopping, submitting contact forms, and online payments. An SSL certificate is included with our managed hosting packages. More than half of consumers are visiting websites from a smartphone. Our websites are designed to display the best experience for the visitor, no matter what device they are using. And, our themes are designed to be accessible for all website visitors. Stop losing customers because of an outdated or poorly functioning website. With our quick turnaround for brochure websites, you’re ready to start converting more website visitors sooner. Convert more website visitors into customers with well designed landing pages for your marketing campaigns. Our websites are designed so Google and other search engines can easily access and index the content on your website for better placement in search results. Social media sites also use this information when your content is shared for better results. Impress visitors a website that loads faster. We host our websites on only up to date servers featuring all solid-state disk storage and redundant internet connections so your website loads fast, every time. Get the most from your email hosting with the flexibility of unlimited email forwards with upgrade options including Microsoft Office Online Exchange with 1 Terrabyte of OneDrive storage and Office Online access.